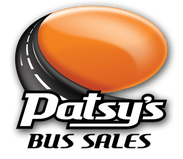 Welcome to our inventory of new & used buses! Review details, view photos, see specifications, request information and more by clicking the "View Details" button. Forward facing perimeter seating, battery disconnect switch, AM/FM CD stereo, PA system, overhead grab rails. New and extended warranty available on this unit. Ask for details! HIGH BACK VINYL BUCKET SEATS 3 PT. Up scale yet economical vehicle for the hotel shuttle, limousine operator, adult day care, and retirement communities that does not require a CDL license. Rear A/C of 26K BTUs with rear heat of 36K BTUs. 18" executive roof, commercial grade 3/4" plywood subfloor, commercial flooring, 3-year 50K mile conversion warranty. Cruise Control, tilt wheel, padded vinyl walls & ceiling, heated power mirrors, 42" electric door, ceiling grab handles, level 3 sherpa cloth seats. These units come with a 24 month/70,000 mile warranty. Ask for details! Additional units available. 1 with lift, all with forward facing seats. Please call for additional units and pricing. We have 2003 and 2006 available. 14 passenger, bench seats with seat belts. Front and rear A/C and heat, rear storage.